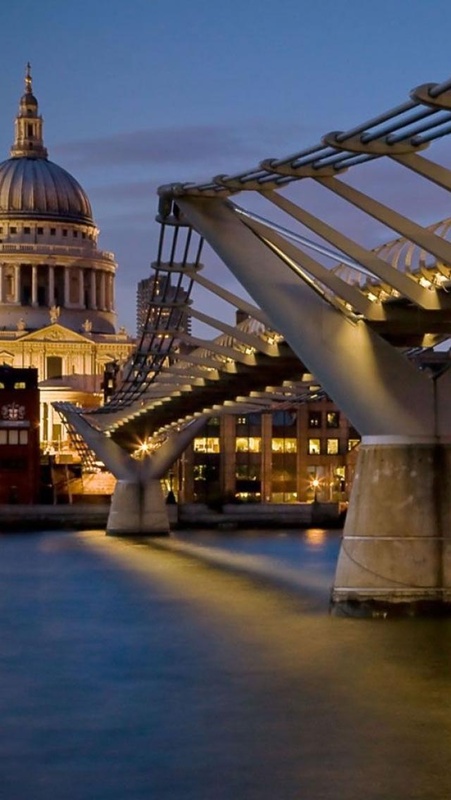 The Millennium Bridge, officially known as the London Millennium Footbridge, is a steel suspension bridge for pedestrians crossing the River Thames in London, England, linking Bankside with the City. It is located between Southwark Bridge and Blackfriars Railway Bridge. The bridge is owned and maintained by the Bridge House Estates, a charitable trust overseen by the City of London Corporation. Construction of the bridge began in 1998, with the opening on 10 June 2000. Londoners nicknamed the bridge the "Wobbly Bridge" after participants in a charity walk on behalf of Save the Children to open the bridge felt an unexpected and, for some, uncomfortable swaying motion on the first two days after the bridge opened. The bridge was closed later that day, and after two days of limited access the bridge was closed for almost two years while modifications were made to eliminate the wobble entirely. It was reopened in 2002.